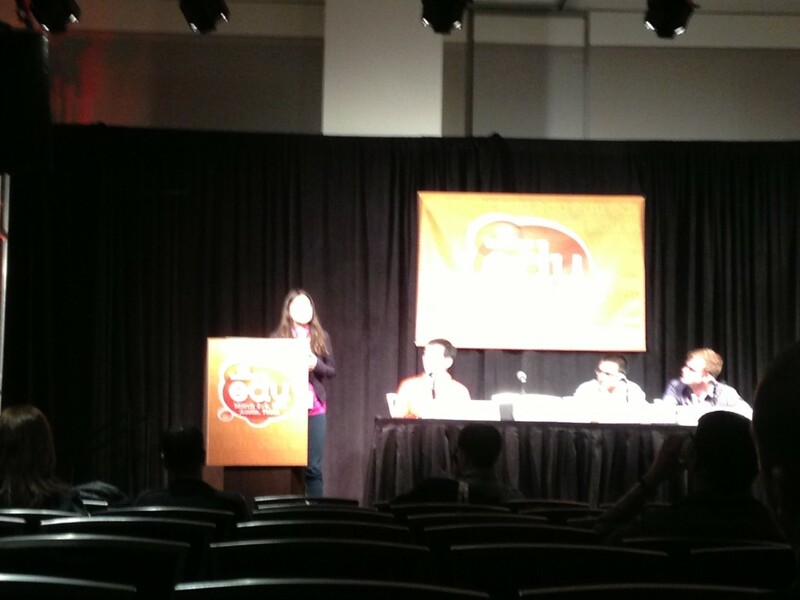 During SXSWEdu, I heard a fascinating panel with Adora Svitak and Nikhil Goyal, along with Charles Tsai and David Cutler . They were both articulate and passionate, and many participants crowded around to talk to them after their panel(not that they didn’t deserve that attention and interest). It struck me how often we treat students who present at conferences as celebrities, or like a novelty. And yet students are the very individuals that we are at SXSW Edu (or any ed conference) to discuss, presumably. As teachers, we often resent it when administrators or the legislature makes decisions about what is best for teachers or education without including our voices. 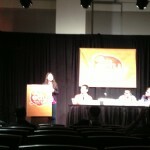 But are we, at conferences like SXSWEdu, including student voices? Not as novelties but as a central part of the wheel of attendees? When we only have a few students doing presentations, I’ve noticed they become like celebrities with audience members crowding around them, following their tweets, etc. We do need to hear their voices and support students who are making change efforts. But is the celebrity level of attention that fair to those students as young people? Are we so eager for a new voice that we fetish-ize them? If we as adults are excited about their work, are we giving it so much attention that we squelch what they are doing or hold them in some kind of “stasis”? How do we be mindful of them as people who are growing, and as students, just like students who might be in our own classrooms? Are we practicing an ethic of care? That being said, it seems like one path to addressing the issue(aside from being more mindful of our own reactions as educators) is to increase the student presence at conference like SXSWEdu. 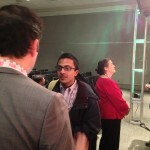 Zak Malamed, (founder of Student Voice) and I debated a few strategies for increasing student voice at SXSWEdu on Twitter. As a community of educators, there are things we can do to make student presence the norm, not the exception. (and this is true of other conferences as well, like ISTE). –1. Reach out to the board of directors of SXSWEdu. Zak tweeted, “How about getting students on the advisory board?” Excellent idea, but I think we need multiple students, including a few from the Austin area. Having just one student who is of “celebrity status” may lead to the same elevation of status. So while even one voice would be better than none, I think it is important to be sure that a diversity of voices are present on the SXSWEdu advisory board and in sessions. –2. 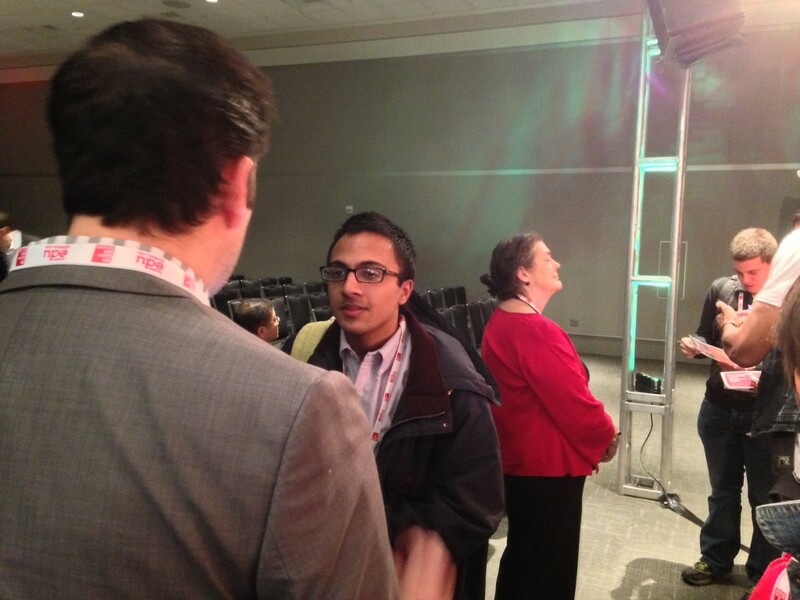 As educators, propose panel sessions for SXSWEdu that include both students and teachers. We had a panel from our district three years ago that included a student as just a natural part of the panel to share feedback on our iPad implementation and having the mix of student/edtech/teacher feedback made it a richer panel. –3. 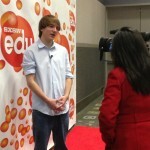 Encourage students we know to submit presentation proposals for SXSWEdu. –4. Host a brainstorming Twitter chat session or some Google Hangouts exploring what we as attendees would like to learn from our students and what would our students like to share or contribute or learn? Maybe a #stuvoice chat or #edchat could explore these questions to help refine the sorts of sessions that would be beneficial. –5. Because SXSWEdu specifically brings in a blend of entrepreneurs and policy makers and educators, considering how the student voice fits into that mix might be an issue the advisory board could study/contemplate. –6. 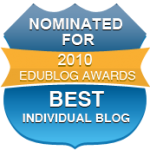 Consider adding a student “startup” camp/session for students to attend, or a LaunchEdu type of session specifically for students. Contemplate having more students invited into the Playground area, possibly. –7. Consider how students can participate in vendor lounges or sessions as well, because their input on products can be very authentic. The Google lounge had students participating in a few sessions sharing how they were using Google Apps. While it has to be carefully constructed to honor the independent relationship of the students, it is another possible way students could be involved in subtle ways. Just like SXSW film fosters student voice with their film contest, and SXSW music embraces voices from startups to corporate names, SXSWEdu has a significant chance to involve the most important voice in the education conversation — that of our students. You bring up a valid point and a question worth exploring with advisory panel folks. It would be nice to have an advisory board meeting (F2F) prior to proposal submission to discuss possible tracks/themes and that would be a great place to brainstorm this area. We can, and should, make this happen.